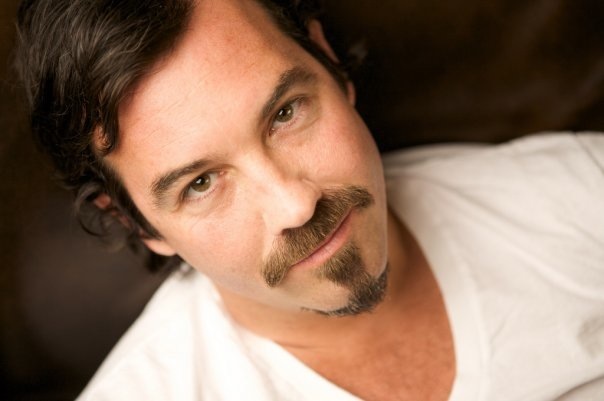 Duncan Sheik is still knee-deep in theater projects. The Tony-winning composer is getting ready to mount the first staged production of his new musical The Nightingale this June in San Diego, he’s still polishing away at the musical version of American Psycho, and he’s also trying to get the much-anticipated film version of Spring Awakening off the ground. Yet while the stage calls, Sheik is taking some time to focus on his music career. Sheik is co-headlining a concert tour with Suzanne Vega (most widely known for “Tom’s Diner”), which will play New York’s Highline Ballroom on April 25 and 26. Sheik phoned Stage Rush on the drive to his first rehearsal for the tour to chat about how American Psycho is influencing his next solo album, Spring Awakening going the indie film route, and why he’s wanted to dodge his biggest hit, “Barely Breathing,” for so long. How did this collaboration with Suzanne Vega come about? We’ve known each other for a really long time because we’re both practicing Buddhists. We knew each other through those circles and we’d see each other at various places when we’d be touring for our records. For a long time, Suzanne had this idea about writing a show where she would play Carson McCullers and perform these songs that were inspired by her writing. Suzanne’s daughter is a huge fan of Spring Awakening, so Suzanne thought that since I’ve done the theater thing before, she’d call me up. We ended up writing a score for this piece together. She performed it a year ago at the Rattlestick Playwrights Theater and she’s been performing a few of the songs in her concerts since then. So we decided to do this co-headlining tour. What’s the format of the concert going to be like? She’ll play some songs, I’ll play some songs, and then we’ll play some songs together. What songs do you have planned from your repertoire? I have this covers album that I put out a year ago. I have a remix version of that record that’s soon to see the light of day. I’m going to be doing a fair amount of the covers. I’m going to do some new material from a forthcoming record that doesn’t exist yet, then maybe a few things from the catalog. And then I’ll be singing songs with Suzanne from Carson McCullers Talks About Love. How do you feel Vega matches up with your musical style? If you think about the 80s stylistically, in terms of the music that was made, Suzanne had a really rare and wonderful subtlety that was mostly absent from a lot of garbagey music that got made in the 80s. There was so much crap and Suzanne avoided all of that nonsense. I respect the elegance and intelligence of her music. I respect her staying power and the fact that this is something she’s done consistently for 25 years now. She’s someone to look up to. It’s interesting that you have this fascination with the music of the 80s. How do you feel having made such a huge contribution to the 90s with “Barely Breathing”? Well, I don’t know that I made a huge contribution to the 90s at all. I think there are people that would beg to differ. Perhaps. I personally don’t like music to be time-bound at all. I like things to be able to stand the test of time. Some [of my music] has lasted better than others. To be honest, what’s hard for me is that I didn’t feel a lot of kinship with artists that were on Top 40 radio at the same time that I was. I always felt awkward to be lumped in with other artists from my era. Not to disrespect them, but I just didn’t feel like what I was doing had that much to do with what they were doing. The 80s was the time when my stylistic identity began to form and it’s the music that’s in the DNA of my songwriting. I feel much more of a connection to the 80s than I do to the 90s. Bands like Nirvana, as much as I think they were great bands, they weren’t necessarily the things that I was that psyched about. There were things from the 90s like Radiohead and Bjork that inspired me, but they were few and far between Jeff Buckley. The 90s was a fun decade for me, but I also kind of feel weird about it now. I’ve seen you in concert many times and only at a handful of those engagements have you performed “Barely Breathing.” I get the sense that you’re not in love with the song. How do you feel about it? It depends. I didn’t play it for a really long time. After Spring Awakening happened, I felt better about playing it. I had a bit of distance from it and so did everyone else, hopefully. [Laughs] I could kind of play it and enjoy it a bit more. But for a minute, it was kind of a cross I had to bear. With the tremendous success of Spring Awakening, do you feel pressure to produce mainstream, commercial music, or do you feel complete artistic freedom? There is a part of me that wants to make the music that I’m really psyched about and moves me personally and might be fairly eccentric and not mainstream-sounding stuff. But there is also a really big part of me that wants to make music that reaches other people. There’s a part of me that wants to have a song that’s a guilty pleasure to lots of people and when it comes on the radio, they raise their hands and get super psyched. If you can pull that off without debasing yourself, that’s an amazing thing. It’s very hard to do. I’ll keep trying. Do you have another album of original music in the works? Yes, I do. I’ll play a couple of those songs on this tour. I’ve been working on the score for the stage version of American Psycho, which is all electronic. I’ve been in this more electronic music mode lately and so some of the things that I may do for this record may be much more modern than other things I’ve done before. Since you brought it up, what’s next for American Psycho? We had one very successful and instructive workshop presentation last October. We regrouped after that and had many conversations about how we might improve and get it into better shape for another workshop. There’s some discussion about doing a production in the UK in 2013, but nothing’s set in stone. We’re all busy, [director] Rupert Goold and [co-writer] Roberto Aguirre-Sacasa. I’m really crossing my fingers that we can put it up in front of a real audience in the next year. That was quite a cast you had for the reading, with Benjamin Walker and Reeve Carney. Yeah, they were both great. My sister was in it, Kacie. They were all really good singers. We got lucky. We’ll see. The development of these things takes forever and is torture. It will exist in the world. I vow for it to happen. What is the latest on the Spring Awakening movie? It’s in a better place than it’s been for a long time. There was some talk of it being a studio movie for a minute and now it’s going to be an independent movie. It’s just the usual complications of trying to put all the money together to get it made right. If we’re going to do it, we need to do it well; we need to make a quality movie. It’s incredibly difficult to make good movie musicals. In my opinion, there are very few of them. It’s very important to us to do it, but we need to have all our ducks in a row. Is McG still attached to it as the director? Don’t you get a sense that everyone would love to see some of the original cast members, like Lea Michele or Jonathan Groff, in that movie? I’m sure some people would love to see the original cast members. But one of the things that’s important about the piece is that you believe that these kids are innocent and that they haven’t had these experiences yet. You can tell by looking at someone if they’ve lived a little bit of their life or if they haven’t. Do you keep in touch with the original cast members? Absolutely. Lauren Pritchard and I are still great friends. I see Jon Groff once in a while and Johnny Gallagher. Johnny Wright was in the American Psycho workshop. I talk to Lea on occasion. I see a lot of the cast members in casting for other shows that I’m working on. We’re doing The Nightingale at La Jolla Playhouse this summer. We were casting yesterday and there were probably half a dozen people who were auditioning who had been in some version of Spring Awakening. What’s your take on how Duncan Sheik feels about his success in the 90s, Rushers? Do you think massive success with songs should just be embraced by artists, or do you think it creates creative issues? Do you think Spring Awakening would be a better film if it went through a major Hollywood studio or took the indie route? Who would you like to see cast in the film? Will you be seeing Sheik at Highline Ballroom? Leave your thoughts in the comments below!